When I was a child, I loved ghost stories. I would head to the local library at least once a week and check out a new book or two… and regardless of how hard my mom tried to steer my to a new section of the library, I always left with at least one ghost story in hand. My husband probably likes ghost stories even more than I do. (Another reason that he’s my perfect match.) In fact, whichever one of us dies first, we will likely haunt the other one for the remainder of their days just for ghostly giggles. 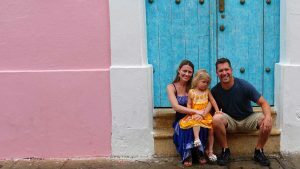 So when my husband booked us for a weekend getaway at The Historic Stanley Hotel in Estes Park, Colorado – I was all about it! The Stanley Hotel is not only the most haunted hotel in Colorado, it’s probably the most haunted hotel in America. The Stanley Hotel is considered by many to be the most haunted hotel in Colorado – if not in the entire United States. If you have never heard of The Stanley Hotel, you have probably at least heard stories about it. 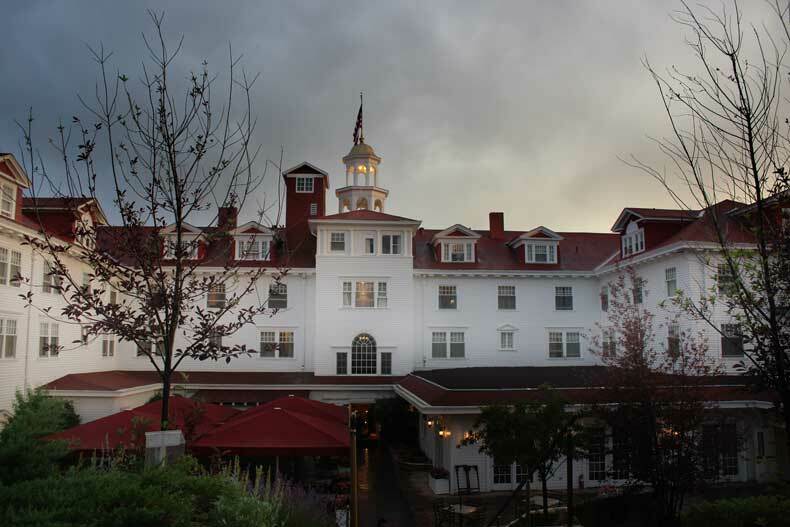 The hotel was the inspiration behind Stephen King’s horror novel-turned-movie, “The Shining”. Did anyone else just get a shiver up their spine? Seriously, that movie is creepy! I’m approaching my mid-30s and still haven’t been able to watch it all the way through. Anyway, for those who have never seen the 1980 film starring Jack Nicholson, it’s about a guy who becomes a winter caretaker at an old hotel and moves his family there. The guy goes crazy and his psychic son starts seeing disturbing visions as a demonic presence starts interfering with their lives. The movie plays on a continuous loop on Channel 42 in the hotel. 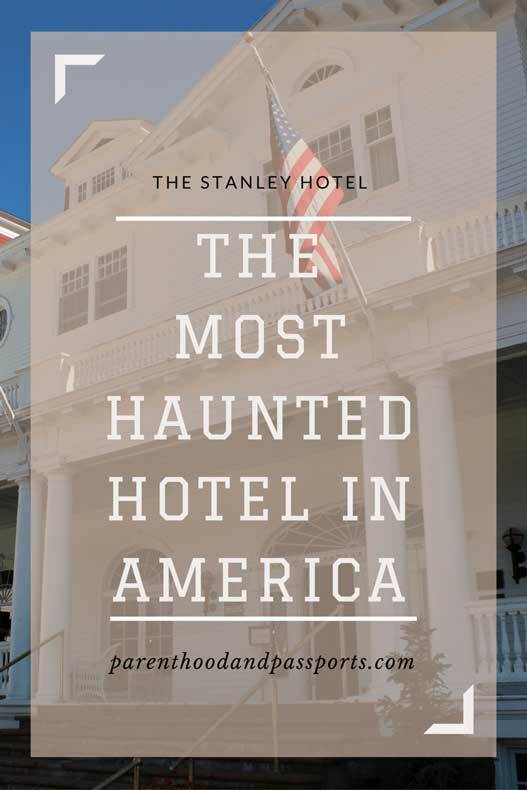 While the movie was not actually filmed on-site at The Stanley, the haunted hotel in Colorado inspired the famous horror movie. Why is the Stanley Hotel in Colorado haunted? Despite it’s reputation, the Stanley Hotel doesn’t have a particularly dark past. But after the Stephen King book was published, countless stories of hauntings have surfaced. People have reported hearing someone playing the piano in the middle of the night or seeing apparitions in their rooms. The hotel, in a great PR move, capitalized on it and now offers ghost tours in the haunted hotel. While people do claim to have had encounters with ghosts at The Stanley Hotel, none of the ghost stories are threatening in nature. I guess you could say, if there are actual ghosts at the Colorado hotel, they are nice ghosts. 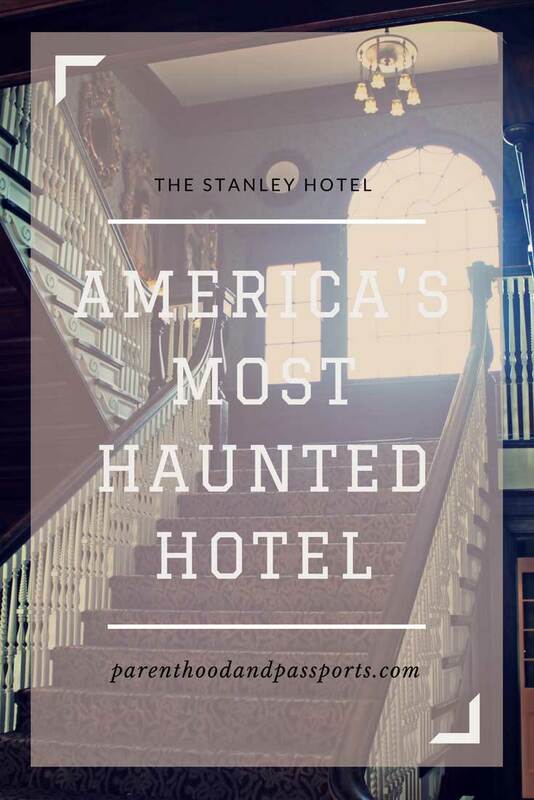 While The Stanley does have an old, somewhat spooky atmosphere, I wasn’t at all fearful about staying at the haunted hotel in Colorado. No scary little girls were walking the halls says “RED-RUM”. (Movie reference). No dark figures lurked in the corner of our room. No unexplained footsteps, music, or giggles filled the late night silence. Real ghost stories from The Stanley Hotel. We stayed on the 4th floor, which supposedly has the most paranormal activity. But no ghosts decided to visit that weekend. (Well, that’s my story.) My husband will tell you he woke up feeling like someone was sitting on his chest. I personally think he just had heartburn from the fast food we ate earlier that night. The picture below is a print out of some of the ghost reports people have experienced on the 4th floor. READY TO BOOK? 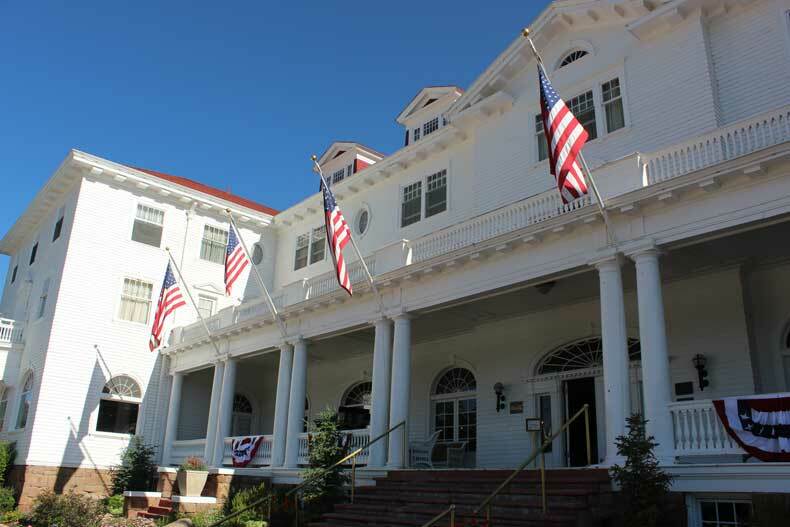 FIND THE BEST RATES AND BOOK YOUR STAY AT THE STANLEY HOTEL HERE. Haunted or not, the Colorado hotel is cool. It has an old-fashioned charm to it, and is located in one of the most beautiful parts of the United States. Our room seemed a bit outdated and dingy. I think they could keep the historic feel and still touch up the rooms and add air-conditioning. The biggest downfall about staying at The Stanley is the price. The room did not justify the cost that came with it. But if you are looking for something different and unique, it is worth the experience. You can visit the hotel and take one of the paranormal tours without actually staying in the hotel. 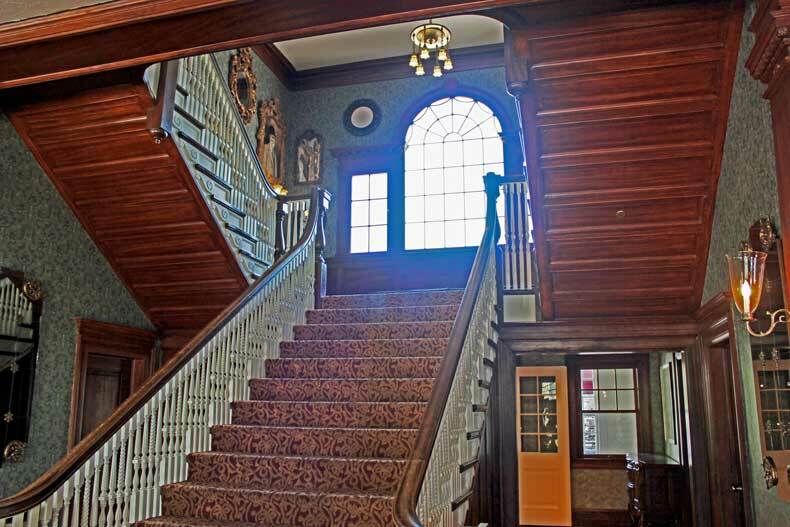 But if you love a good ghost hunt and are brave enough to spend the night in a haunted hotel, put The Stanley Hotel on your list! If you’re looking for other things to do in Estes Park during your stay check out this post from Pages of Travel. Have a question or comment about the most haunted hotel in Colorado? We’d love to hear from you. 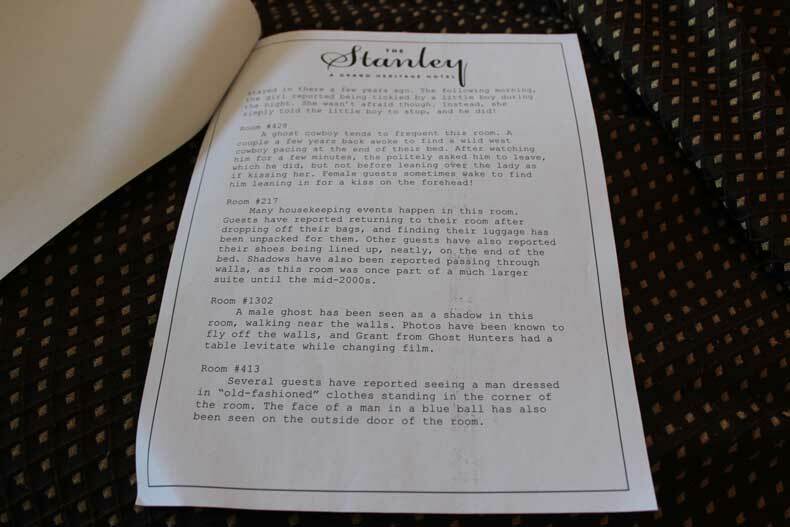 Leave your thoughts about The Stanley or any other haunted hotel where you’ve stayed in the comments below. I couldn’t finish the book much less see the movie. So I will not be staying at the hotel. There is also a haunted hotel in San Antonio. After reading your comment, I have to respond. I stayed a night in room 217 by myself. It’s haunted. I captured a few things on my cell phone recorder. It’s not a fake.. It’s a feeling you just can’t fake, and it started happening as soon as I was alone in the room..
1. I got touched, at the writing desk, a full bottle of water shot off of it landing on the floor. The paper describing the room slid across the table by it’s self. 2. Cleaning noises at night, you can hear brooms being swept across the floor, zippers being zipped up. My bed even got fluffed. I have it on cam. 3. sounds of trash bags opeining up, whishpering caught on cell recorder. 4, Foot steps walking around the bed. 6. a little girl laughing and a man saying gonna lay down. Those are all the things I experienced in the hotel. So I have to laugh when you say it’ s not haunted. Belive me.. it is. This is fascinating! I may have run screaming if that happened to me. And I didn’t say it isn’t haunted. I’m just saying I didn’t personally experience the paranormal. My husband still swears he did though. Fun! Who could ever forget RED-RUM. Love that you are both ghost buffs – I am a bit too.. The Shining was the only movie that ever spooked me out (more specifically those evil twin girls)! I’m definitely not a massive ghost buff, but I would say I’m curious. What I would do if I ever saw anything is beyond me… but from your review I think I’d be pretty safe there. Are you on a mission now to actually find/stay somewhere that is haunted? No way! I’m like you, I don’t know what I would do if I actually had a real ghost experience. LOL. I love a good ghost story, but I don’t know how much I really believe in them. I guess that’s why I wasn’t scared to stay at this hotel. You are so brave and you are right. Why would anyone let 12 year old girls rent “The Shining.” When I read the paper in the photo about Room 408 I would have screamed. I hate scary things and you are so brave for doing this! I always tell my husband I’m going to haunt him if I go first and keep tabs on how he is spending my life insurance lol I had no idea The Shining was inspired by a real hotel. I used to read a lot of Stephen King in days gone by. I’m such a scaredy cat that my husband didn’t tell me about the paranormal activity at this hotel until we were getting into bed!!! Yikes! We had a very young baby at the time, who was up in the night still, and I was so worried I’d hear something! Thankfully, the ghosts picked on someone else that night. I am way too much of a scaredy cat to stay in a hotel that is deemed haunted. I believe in ghosts and if I were ever to encounter one, i could only wish it were a nice friendly one. I don’t mind hearing stories of haunted hotels, castles, etc., but the minute it is associated with a Stephen King movie, count me out! Such a chicken and the visual of Jack Nicholson in that classic post just makes my neck hair stand on end. A very cool find though- the most haunted hotel of all! In any case, looks like a nice experience for someone found of these kind of things! Everything about this entices my travel bug! I have to say this is not on my Must SEE bucket list!